Are you outgrowing your current bookkeeping solution? Do you need to get more accurate financial reports, a new feature, or more streamlined processes in your bookkeeping system? If you said yes to any of the questions above, then you’re in the right place to find QuickBooks help. You’re not alone; there are many business owners who come to me with these exact questions. We provide QuickBooks® bookkeeping, consulting, and training to small businesses in Seattle and the U.S.
As a small business owner, I know you’re busy wearing many hats just keeping your business running. Your time is best spent running your business and not on financial organization, QuickBooks, or other bookkeeping functions. That’s where I can save you literally dozens, if not hundreds, of hours of learning curves. 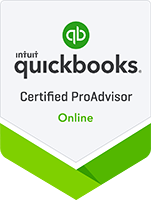 I spend all year long on QuickBooks products in a wide variety of businesses and industries, so it’s highly likely I can quickly help you find solutions to your QuickBooks questions, issues, and challenges. With more than 6 years of bookkeeping and small business experience, I offer QuickBooks and bookkeeping services for small businesses. I work hard to stay current on the latest QuickBooks products, features, and versions. The extra time I spend getting training, going to conferences, and earning certifications allows me to serve you better and to be able to suggest bookkeeping and QuickBooks tips, solutions, and perhaps even software products that will help your company run smoother. 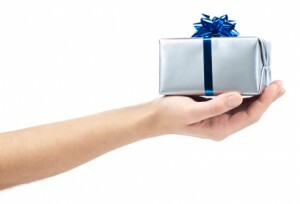 I’d love to find out more about your business and how I can help you with your QuickBooks needs. Call me at 206-549-6056 or email me at reza@rghbookkeeping.com to set up your no-cost, no-obligation, 30-minute QuickBooks needs assessment. 206-549-6056 or send us an email at reza@rghbookkeeping.com to claim your complimentary consulting session.